April 1st begins the summer uniform for our students. 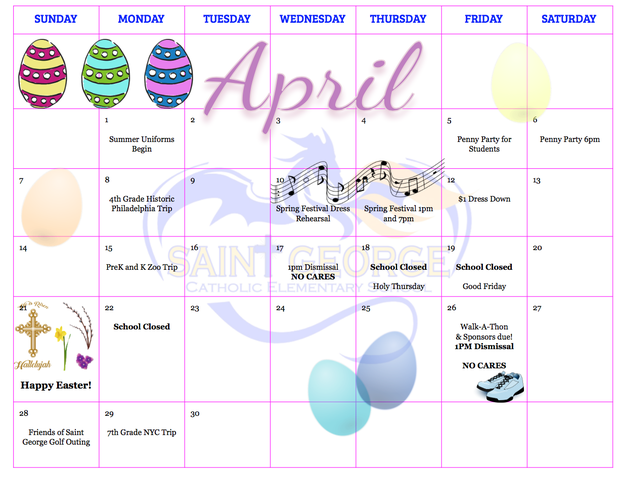 Friday and Saturday, April 5th and 6th is Home and School's annual Penny Party as well. Grab your tickets in the school office or send in your form with your student! 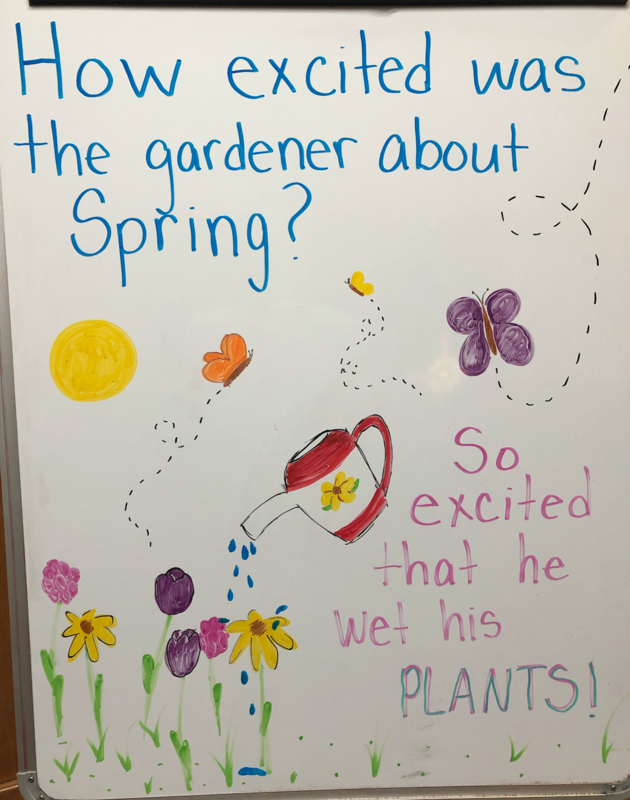 And of course we are excited for our annual Spring Festival! Check out the flyer below for dates and times as well as ticket information. 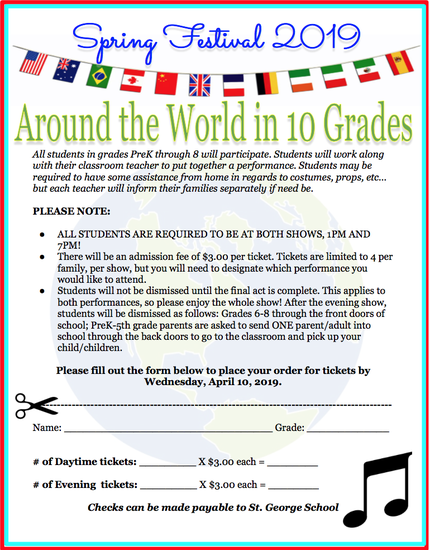 This year's theme is "Around the World in 10 Grades." 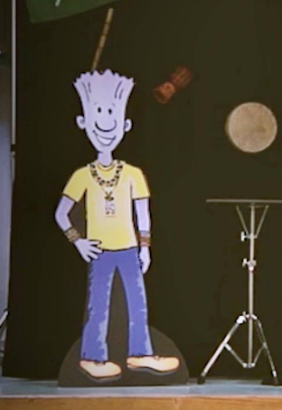 Students are already hard at work planning their performances! Come out and show your support! 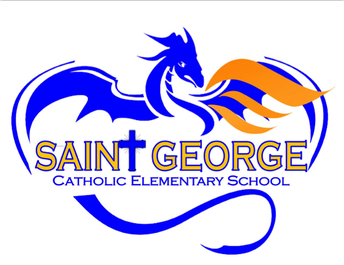 Saint George School is also excited to bring back the Walk-A-Thon this year! Mark your calendars for April 26th! 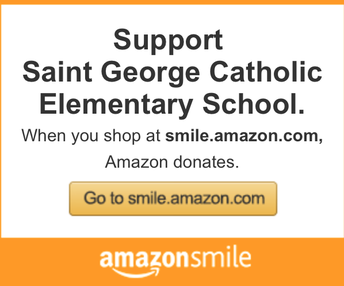 This year's goal is $12,000 and money will be used to purchase our Religion books and classroom and building updates. We hope you'll join us this year! (Students may wear gym uniforms on this day) Visit our Donations Page to make your donation today! Our Summer STEM Academy still has spots available! Follow the link to register your child for this FREE camp, which is available to K-5th Title I Students and will run from July 8th through August 2nd this summer. If you received the papers from school, that means your student is eligible. Return the form or register here! Finally, don't forget that families who are registered for SGS and apply for FACTS by April 1st will be entered to win 1 of 3 $300 tuition credits! Winners will be drawn at our annual Field Day in late May. Print your registration forms from our website! As always, please call our office at (215)634-8803 if you have any questions regarding registration for the upcoming school year. 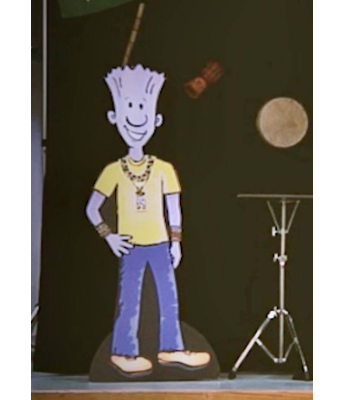 Students went on an adventure with Ned and Miss Trish, exploring Kenya and returning with knowledge that being different is perfectly wonderful! The show was a great opportunity to remind our students what being kind looks like and how they can continue to be kind to one another. Students were treated to some refreshing water ice to kick off the Spring season! 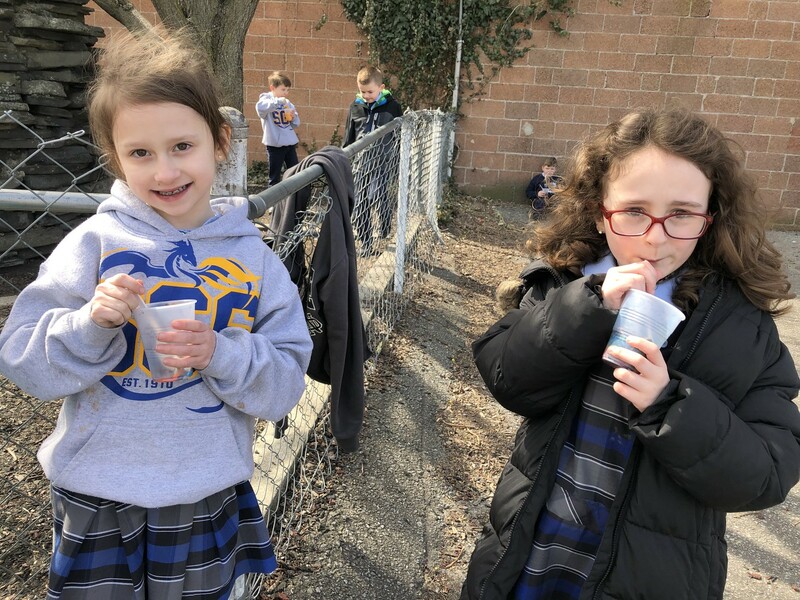 Two of our first graders were kind enough to pause eating for just a moment so we could snap the picture! 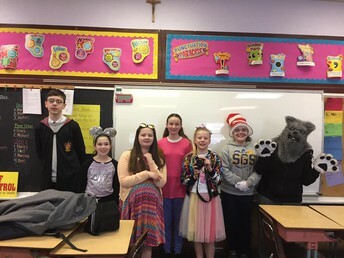 All grades participated in activities during the first week of march to celebrate Dr. Seuss and his passion for reading. 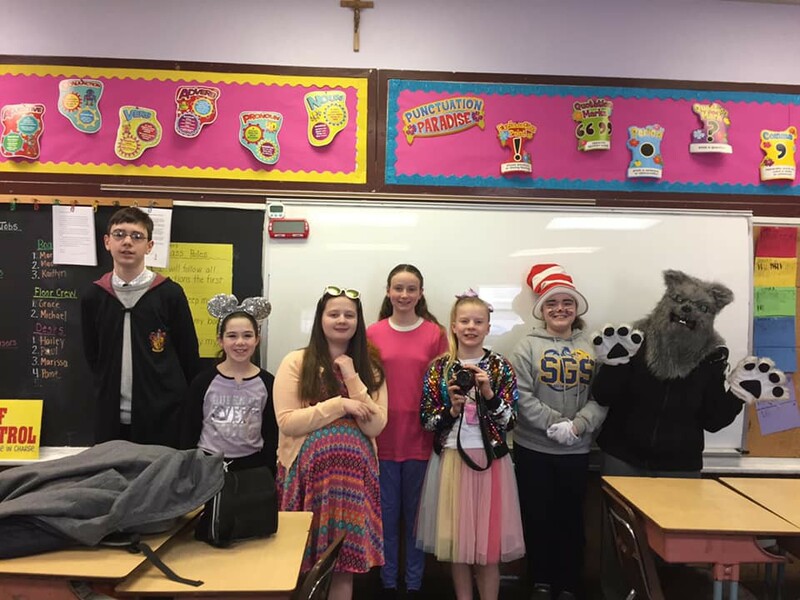 Activities including dressing as characters in Dr. Seuss's most famous books as well as dressing as our favorite storybook characters! 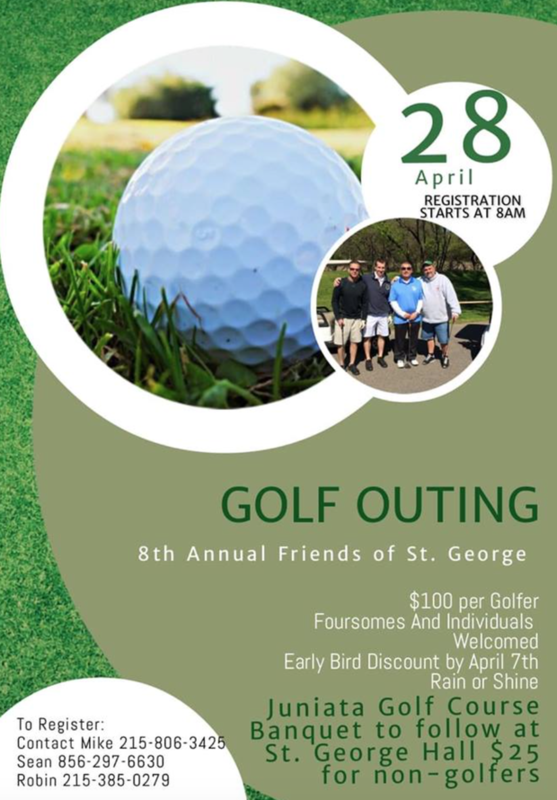 Friends of Saint George would like to invite you to our annual Golf Outing on Sunday, April 28th. This event is a big fundraiser for our school and we would love to see you there! Check out the flyer below for more information. Thank you for your continued support!